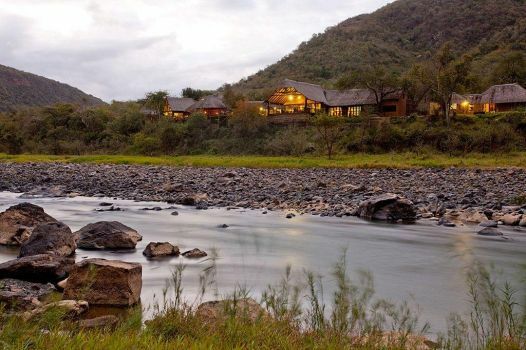 Duma Manzi Eco Lodge and Spa is a five-star wellness and wildlife sanctuary set in a 5000 hectare reserve intersected by the Mkomazi River – an extraordinary African wilderness setting which is free of malaria and predators. Enjoy a scenic game drive from reception to the lodge on arrival, and another on departure. Brunch, afternoon tea and a five-course dinner are served daily, with beverages and biscuits available throughout the day. Duma Manzi is a comfortable 1.15-hour drive from Durban and 45 minutes from Pietermaritzburg. Winner in the 2012 World Luxury Spa Awards. There's currently no specials at Duma Manzi Eco Lodge & Spa. •Conference room ideal for board meetings, formal conferences and presentations. •Conference materials: note pads, pens, water, sweets and cordials. •Equipment: screen, flip chart, white board, data projector, screen, photocopier. •Breakaway rooms: a variety of locations around the lodge can be used for breakaway sessions. •Unique programmes can be created, such as mountain biking, archery and team-building activities. •Menus can be adjusted to suit the requirements of conference groups.